She was one sassy lady, RIP Darlene. Damn, this woman is more glam, and with better hair, in her '70s, than I am in my 40s. ITA, and I'm in my 20s, and I don't have thick hair like she did! What a classy-looking lady, I was sad when I read that she passed, at the time, I didn't even know that she had cancer. 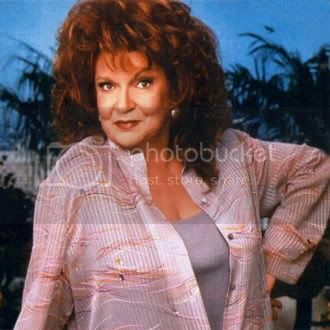 They never killed her off on B&B either, they just said that Sally Spectra retired and moved to paradise.